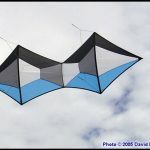 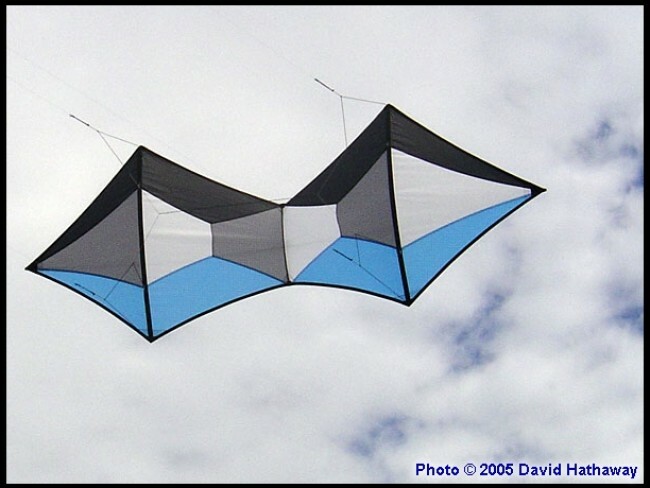 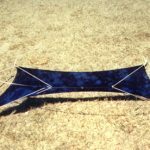 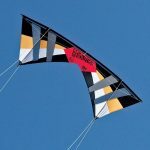 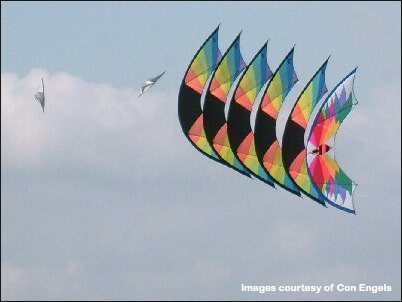 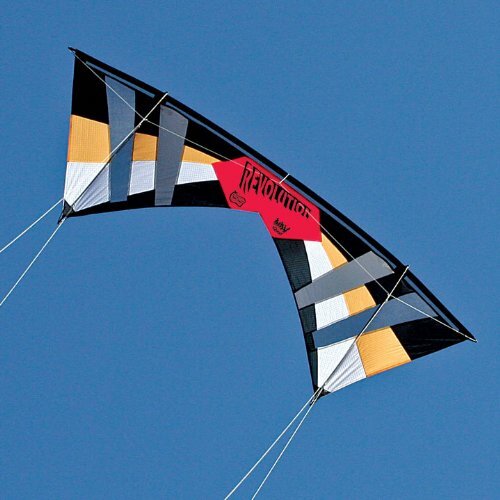 If dual line kites were jet planes, quad line (also called “multiline”) kites would be the helicopter of the kite world. 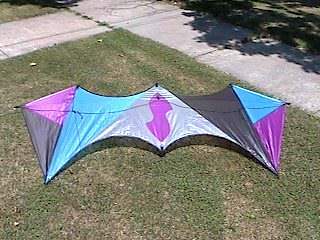 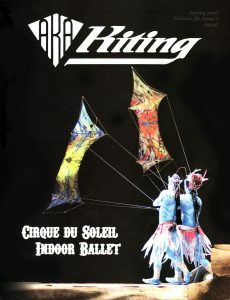 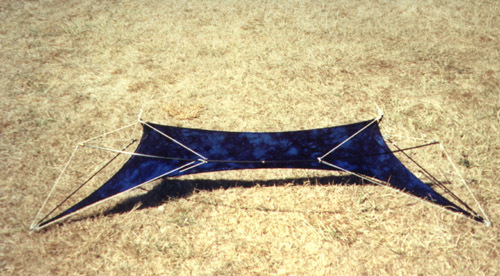 A total of four lines provides control over nearly every edge of the kite, allowing an experienced pilot to hover mid-air anywhere in the sky, in any position. 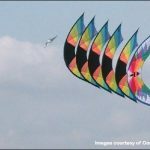 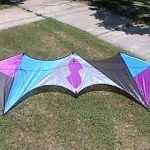 Most quad line kites are able to take off and land upside-down, spin in place, skim the ground by mere inches and control flight speed to a very high degree, all of which has made them one of the more popular kite types for large group team flying all over the world.